The east bank of the Cuyahoga River is the backbone of Cleveland, Ohio’s industrial past. The Wolstein Group and Fairmount Properties have teamed up together for the reconstruction of this historical area. 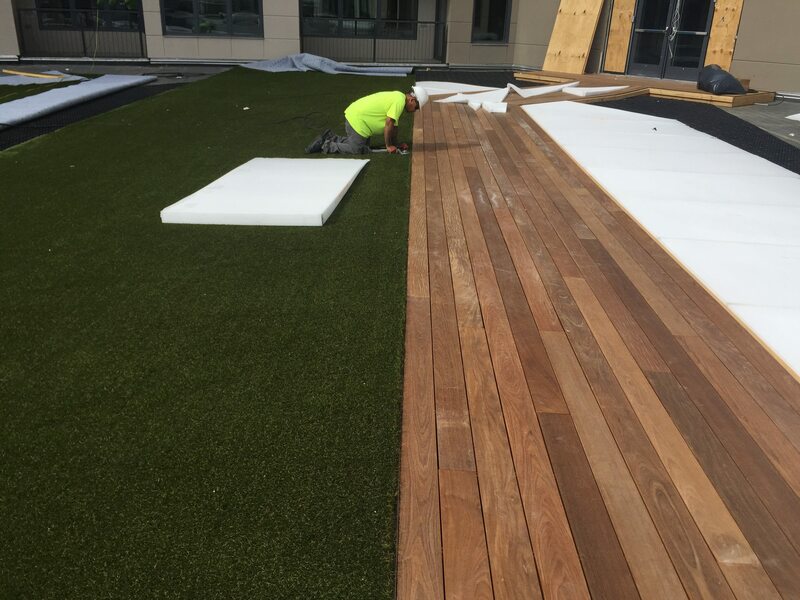 In the center of it all, ForeverLawn Northern Ohio is creating a beautiful courtyard on the top of the Flats East Bank residential building. The Flats East Bank building, with a total of 240 apartment units so far, features modern design and is meant to keep people in the mix and in the center of all the action. 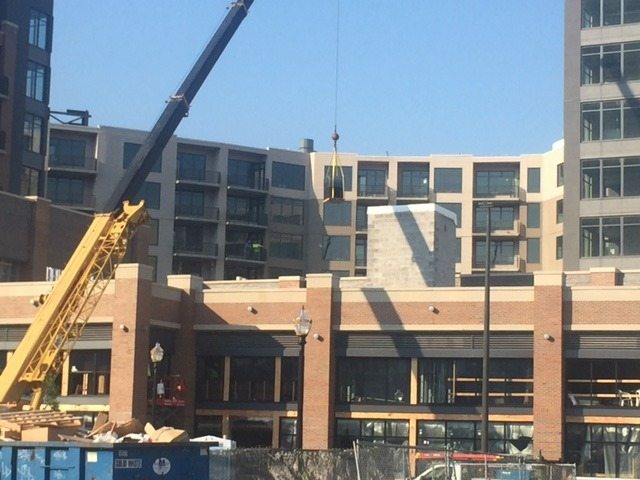 Building managers expect to see all units rented out by the beginning of November 2015. People of all backgrounds and walks of life have shown interest in the apartments, mirroring the eclectic makeup of the community. In addition to the Flats building, developers are encouraging many new businesses to set their stakes in the East Bank. Several exciting urban restaurants and shops have already settled in. Other new developments include a 23 story office building, brand new fitness center, and a modern hotel. The whole idea of this reconstruction project is to create a trendy area where people can live, eat, work, and play- essentially a brand new, all-encompassing hub in the heart of Cleveland. 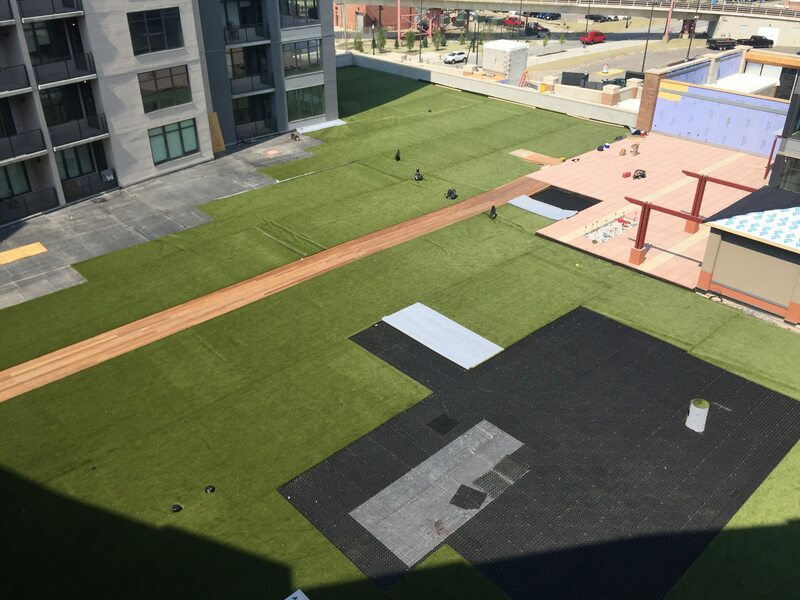 ForeverLawn Northern Ohio is playing a big role in the Flats East Bank project. 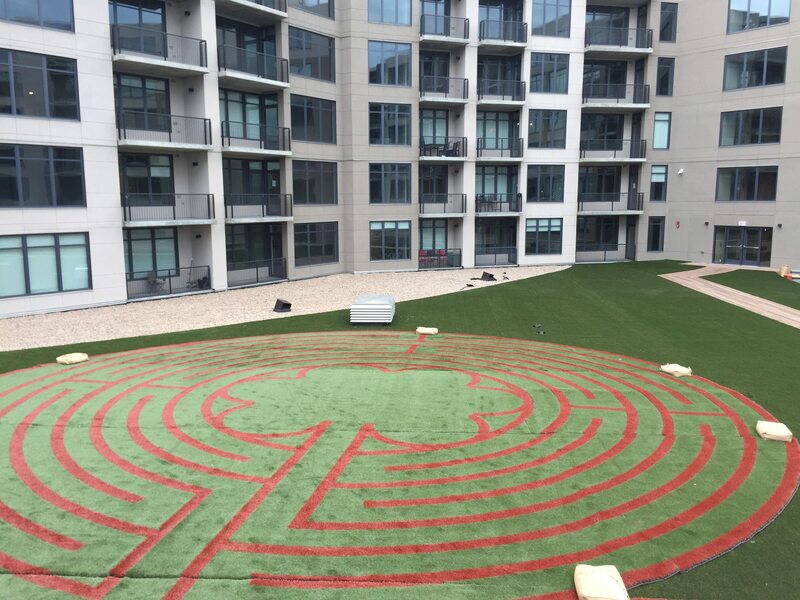 The third floor rooftop courtyard of the Flats building is in the midst of being transformed into a meditative oasis where residents will be able to go to escape. The courtyard will be fully equipped with barbecue grills and lounge areas, all centering around a custom meditation logo. Currently in progress, the rooftop project is coming together nicely. 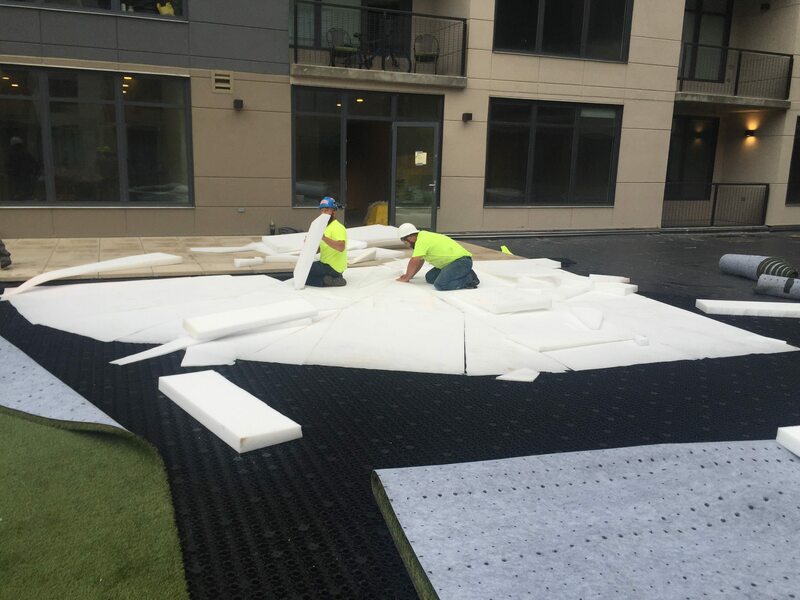 Recent development of the rooftop project includes the completed set up of our patented drainage grid, all turf rolls are in place and beginning to be lined up, and the custom meditation logo is laid out and ready to be seamed together. 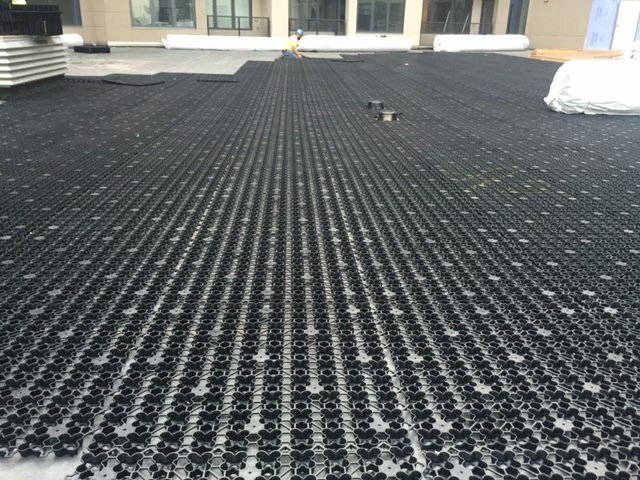 The cutting edge design and interesting mix of materials will make for a beautiful finished rooftop oasis.